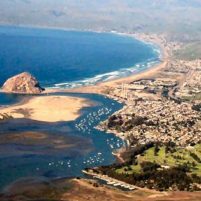 Over the past few days, officers had been investigating a series of thefts from vehicles in the Morro Bay area. Amid the investigation, officers found the suspects had used a stolen credit card at a local market, police said. Investigators obtained video evidence, which enabled them to partially identify the suspects. Then, police traced the suspects to a hotel, where officers found them both in possession and under the influence of methamphetamine. The suspects admitted to committing numerous thefts throughout North Morro Bay, police said. Officers arrested Stephanie Rene Lara, 50, and Joann Marie Alley, 58, at about 8:30 a.m. on Friday. Police booked Lara and Alley into the San Luis Obispo County Jail on charges of identity theft, possession of stolen property, unauthorized use of a stolen credit card, possession of a controlled substance and being under the influence of a controlled substance. The jail website lists neither suspect as currently being in custody. Investigators believe there may be additional victims who have yet to come forward or who do not realize they may be a victim of theft. Authorities have recovered additional stolen property from the suspects and are asking anyone who may have been a victim of theft over the past few days to contact the Morro Bay Police Department at (805) 772-6225. Additionally, police are reminding residents to lock and secure their vehicles and to not leave valuable items inside a car or in plain view. Police recommend securing items in the trunk or inside the home when a vehicle is left unattended. People still leave their cars unlocked?